“Augen” is eye in German and Austrian. 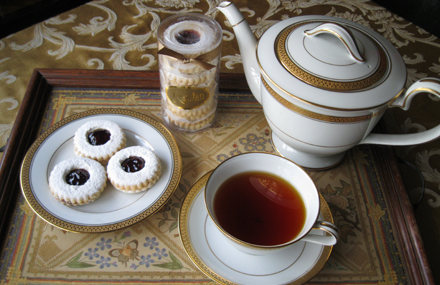 These cookies are dusted with powdered sugar and sandwiched with raspberry jam. The hole or “eye” cut-out is filled with more raspberry jam! *BY SPECIAL ORDER ONLY 2 WEEKS NOTICE REQUIRED.